It’s supposed to show labels in the client end filtering select list, however it seems only value (“a” and “b”) shown in it, with label never been used. Which version of dhtmlx are you using? Now the version is SuiteStd5.1 instead. If the col type is “co”, it works properly. If the col type is “combo”, getColumnCombo is not a function. If the col type is “ro”, it regards values as labels. Unfortunately the issue cannot be reconstructed locally. Please, provide a complete demo, where the problem can be reconstructed locally. I guess the problem lies in the dhtmlxgrid.js. Only the combo coltype and the co-leading coltype are regarded as combo, and only when the combo, the labels will be extracted, otherwise the values are used for both values and labels. 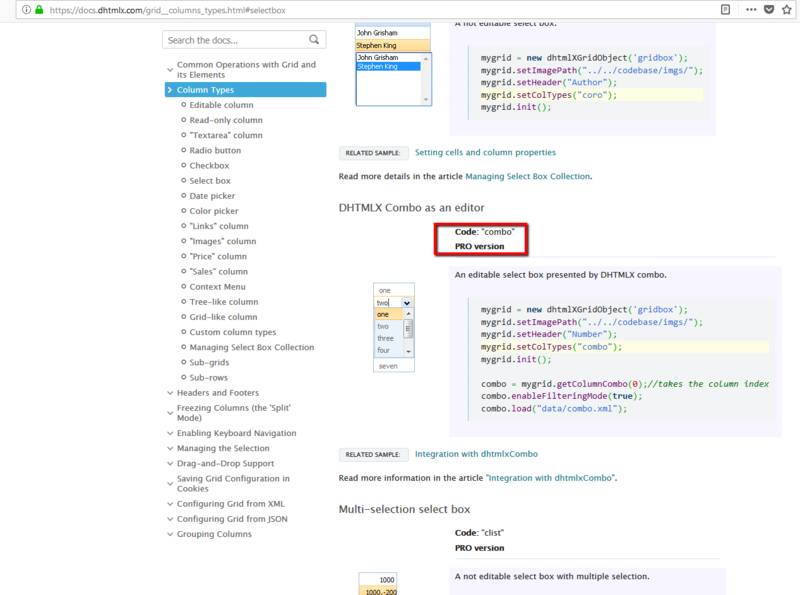 Oh bugger, I just realised the ‘Pro’ in the URL https://dhtmlx.com/docs/products/dhtmlxGrid/samples/13_interaction_other_components/01_pro_combo.html … which means that combo use in the Grid is a Pro feature? Why is this not documented in the API docs? 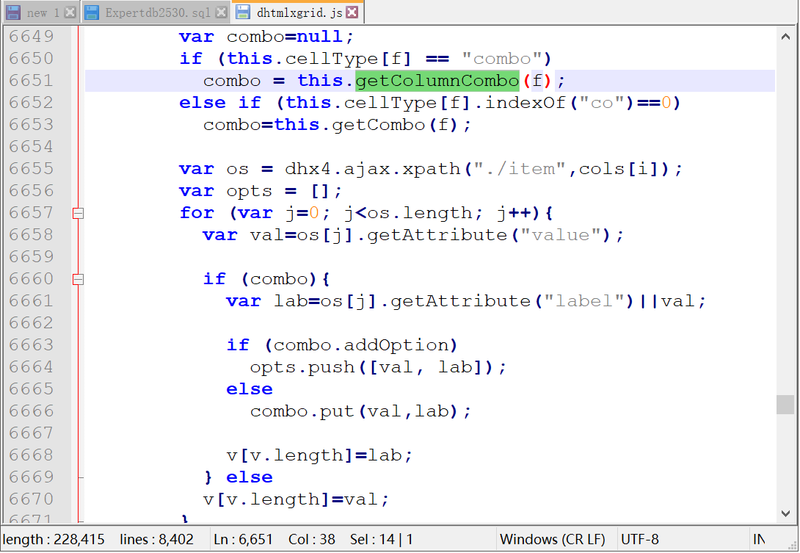 You’re right the usage of the “combo” column type is available in PRO version only. According to your request we’ll update the docs and the “PRO” flag will be mentioned on the API and the integration page.